The best coming of age stories do not simply speak to those going through the transition, but allow adults to reconnect with that period of their youth. Writer/director Kelly Fremon Craig’s wonderful debut demonstrates an ear for the naturalistic wit in sardonic teenage dialogue without the artifice of Juno. Socially awkward Nadine is self-involved, disagreeable and at times even casually cruel, but Craig still allows us to sympathise with her experience. 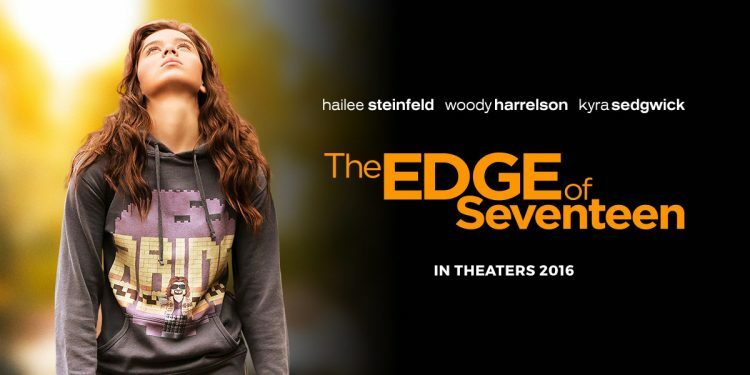 This relies heavily on Hailee Steinfeld’s fantastic central performance, humanising Nadine’s positive and negative traits with warm humour, and granting an emotional weight to those teenage experiences that feel life-or-death at the time. I have not been closely following Steinfeld’s career since her arrival as the wilful young girl in True Grit, but I certainly will be now. Woody Harrelson is notable in a supporting role as that rare, patiently understanding teacher on whom any outsider relies. With the exception of Boyhood (which really is a different beast), The Edge of Seventeen is the best example of the genre for some time.